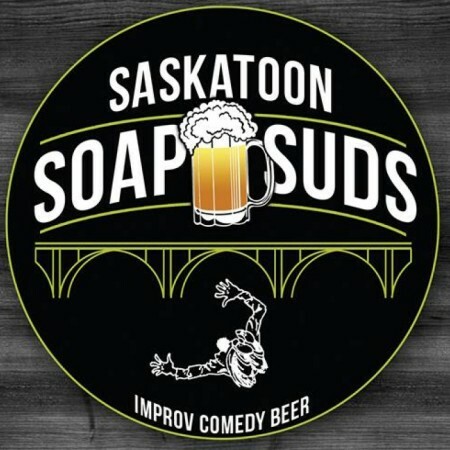 SASKATOON, SK – CBC News reports that Paddock Wood Brewing and the Saskatoon Soaps improv comedy group have teamed up to release a charity beer in honour of the Soaps’ 33rd anniversary season. We wanted something lighter to fit with the Soaps being on the lighter side of life. We thought a lighter, refreshing beer is what we wanted and Paddock Wood nailed it. It’s fantastic and we’re really excited to share it with everybody. Saskatoon Soap Suds made its debut last Friday October 28th, and will be available until June during all Saskatoon Soaps performances at the Broadway Theatre. It’s selling for $6 per pint with 50% of proceeds to be donated to the Saskatchewan Cancer Agency.